Nick Nolte gave a candid interview to Movieline about the very Nick Nolte evening he got himself into while trapped in Pittsburgh on the set of the Tom Hardy brawl-fest Warrior. Amazingly, Nolte, age 70, straightened himself out in time before he ended up splashed all over The Smoking Gun again. ML: Did you have a local bar where you did your drinking? NOLTE: No, I had this assistant and she had a boyfriend who was a little… [Pauses] Mixed-up. The assistant was a little mixed-up too. We had been rehearsing a week and I said to her, "Should we do the right thing and go home? Or do we do the wrong thing and go to a club and meet up with your boyfriend? I'll leave it up to you." NOLTE: That was a terrible thing to do. Of course she said, "Let's meet with Bobby." We meet with Bobby even though I have to rehearse in the morning at 10 o'clock. Come 5 o'clock, we're still at this apartment. There was booze and you know, other stuff. We rolled into rehearsal the next morning and I went straight to Gavin's assistant and said, "Man, you wouldn't believe the night I had. There was more cocaine there, more alcohol, this guy with tattoos all over him and rings, this girl who wanted to leave with me but she had been with him for 10 years and he was threatening to kill me. We barely got out of there alive." 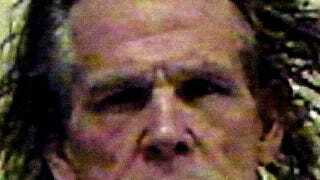 I'd wager, in his 70 years on earth, Nick Nolte has used the phrase "We barely got out of there alive" as a kicker to his morning-after stories more times than most humans. It'd be a perfect ironic epitaph on his tombstone, but hopefully not soon. Thanks for your continued support of Deadspin. And thanks to those of you who spent Labor Day weekend in Alpine Valley. 'Twas fun, right?